Over the past year, I’ve written a lot about web development, also known as website development and blog development. Web Development is the name for the techniques involved in developing your website or blog. What it really is, well, that’s a lot more confusing. People make a lot of assumptions, so let’s look at what it really is. The process of developing your website begins with an idea for a website. Then it expands to considering where and how to host it on the web, and moves to what it should look like and the content it offers. Throughout the process, the audience is constantly considered, how to attract them, how to keep them, and how to keep them coming back for more. This is the development of your site. A step-by-step process to move from idea conception to finished product. Even if you get an invitation or decide to start a blog out of the blue, once you get your password and username, you have begun the process of developing your blog. Your first thought is probably “What am I going to do with this thing?” That’s the first step in web development. The process of building and designing your website’s layout and design is a part of web development. As is creating the content packed with keywords to help search engines and searchers find your site. And the process of creating and keeping an audience, building link referrals, search engine submissions, validating code, checking for dead links, and all the housekeeping and maintenance required to keep a site going. In this one year anniversary review I want to review the articles I’ve written about web development separate from SEO and web design. SEO (Search Engine Optimization) and web design are part of web development, categories of the many steps you need to take to develop your site for search engines. 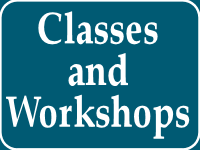 I’ll be talking about SEO and web design elements in the next few days. In this review, I want to focus on the articles I’ve written over the past year that deal with the other basic tasks associated with web development. You need to start your web development plan with a plan. A plan is critical to setting out the map of your journey on the web. What do you want to do, how are you going to do it, how are you going to express what you want to do, and what do you do next. Another important part of website development is targeting your audience. In order to make your website work, you need to help people find it. This includes search engine submission, concentration on keyword writing and content, and providing content worth linking to, letting others direct users to your site. Most of all, the content must have value, so a lot of focus needs to be on the writing, writing style, spelling and grammar, and creating clear, easy to understand content. The better the quality of content the more likely people are to find the site and stick around. To help clarify web development for the unsophisticated website or blog owner, and to focus on developing a unique blog model, a genealogy blog, I started an ongoing series on building a blog and put a lot of emphasis on developing the plan in “Starting With a Purpose and a Plan”, then exploring all the questions that need answers in order to start the blog development process in “Who, What, Where, and How Questions for the Plan” and “Determining What Features I Want in My Blog”. When developing a website, it’s important to look at what others have done and then at what you want to do, and to determine which features you want and which you don’t, so I explored these distinctions in “What’s the Difference Between a Genealogy Blog and a Normal Blog?” to help you understand that not all blogs are the same and when you understand the features you want, you have a better idea of what to put on and into your blog. In “The Blog Budget – How Much Does a Blog Cost?”, we got down to what it actually costs to run and manage your own blog. Do you know how much a blog really costs? 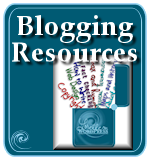 Let’s look at what you need in order to have your own blog. In order to get started, you have to have a valid email address. This can be free or paid. Getting your domain name, the registered name and address for your site, and the web hosting services, costs…You might choose a free web host, or your own. It may or may not include blogging software pre-installed and ready to go. Blogging software, like WordPress, is free, but others aren’t. Depending upon the software packages you use, the costs are one-time expenses plus upgrades, so this can be depreciated across more than one year. Additional features such a genealogy software programs which produce web pages and GEDCOM files and family tree hosting services and programs may also cost. It depends upon what you want to do and how you want to do it. Which is why answering the questions about what features you want on your blog is so critical. The more you know, the more you know how much it will cost. You just got your first WordPress.com blog. Now what do you do with it? There are two ways to tackle your new WordPress.com blog. First, there is the typical way, then there is the practical approach. 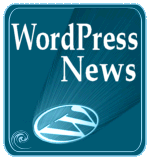 The typical method of starting to use your WordPress.com blog is to make it pretty. To do that, first, write two posts and publish them…After you’ve published two posts, click Presentation and scroll down the list of WordPress Themes you have to choose from. Pick one that looks interesting, then view your site…You’re done. Start blogging. If you choose the practical approach to starting your WordPress.com Blog, and you are ready to get serious about your WordPress.com blog, then here are the step-by-step instructions. You wanted a blog. Now you have one. What are you going to do with it? This sounds like a simple question, but it’s not. What are you going to do with your new blog? Does it have a purpose? Does it have a reason? Do you have an idea of what you are going to write about? Or did you just get one because everyone else seems to have one? Think about why you wanted one and what you are going to do with it now that you have it. The answer to the question “what does it take to blog” is not just a simple answer to a simple question. Basically, it takes a blogging tool, like WordPress.com, WordPress, Blogger, Movable Type, Typepad, or whatever tool you choose. It takes a host, a spot on the Internet to set up your blog. This could be a free hosted site like Blogger or WordPress.com, or a paid host where you pay “rent” to set up shop with your blog. It takes a vision of what you want your blog to look like. Then you have to fill it with the words and images that inspired you to blog in the first place. This is what it takes to blog. Does it take computer expertise? It could. It depends. If you can fill out a form, you can blog. If you want to play with your web page design, layout, dig into the code, make your blog spin and whirl and do headstands with code, then you can do whatever you want, within or beyond your capabilities. 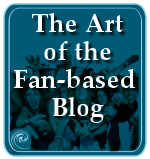 …It takes very little skill to create a blog. Blogging is easy. But it takes a lot of skill to maintain it. That’s the question never asked. Blogging is easy. You don’t need a college degree. Twelve and seventy year olds are blogging. The hard part is keeping a blog going? To blog day after day, to keep the stories, opinions, photographs, images, and effort going. That’s the real skill. The one few ask. What does it take to keep a blog going? For that, it takes a plan. In order to get your blog or website off the ground, you have to find a place to host it. 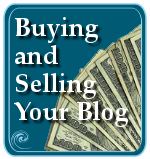 You have a lot of choices and the hardest part of choosing a home for your blog or site is the shopping. You have to do your research first. By understanding what you want and need in a site from a host, you can go down the list of the features and services they offer and choose the one that is right for your needs. Which is why a plan is so important. Know what you want, you know what to look for. I didn’t write a lot about finding a web host as that is a fairly simple subject. Find the program or blogging tool you want to create your website, identify the additional features and services you want, and then pick who is the best compared with who you can afford, and you’re done. Everyone has their favorites, and there are a lot of web host review services out there, so I didn’t want to duplicate what others were doing. My focus was on what you do after you’ve jumped this hurtle. Deciding what your blog name and title should be might be easy for you. If your blog is about cats, then you can call it the “Cat Blog” or “About Cats Blog” and have the domain name/URL (address) be http://www.catblog.com or http://www.aboutcats.com. If your name is Sally Smith, you might want to call it http://www.sallysmith.com or sallysmithblog.com, but the odds are that Sally Smith already got that, so you might want to consider http://www.sally-smith.com or http://www.ssmithblog.com, or even go with initials like http://www.ss-blog.com, a fun play on words. There are a lot of options when choosing a domain name. Genealogy blog domain names get more complicated. Names like “familysearch”, “myancestry”, “myfamily”, “myfamilyhistory”, “ancestry”, “familytree”, “mygenealogy”, “genealogyblog”, “genblog”, and such are taken. The key to domain names is to come up with something that relates to what your blog is about. While names like cameraontheroad.com gives you a hint about the content of the site, genealogy sites can be a little more complicated and not always indicative of their content. You can choose a family name, but which family name? I have hundreds of last names within my family tree, though I will probably talk about four to six core names on my blog. Which name do I choose? I even had a little fun with “Domain Name Humor” from Awis, which you have to see to get your giggle. Another task associated with website development is monitoring and improving your website traffic. It’s important to understand how people search the web and how they can find your blog in order to understand why they came to your blog in the first place, and then how to get them to hang around for a while and then keep coming back for more. Just like fishing, you can toss out baited hooks that may catch potential readers. The bait consists of popular, commonly searched for post topics. A few years ago, viruses and email spammers were all the rage and top of search engine’s most popular search keywords. Today, hot topics are tags, feeds, social bookmarking, and blogs. Have a few articles on one or more of these topics on your website and it may turn up in the search results, leading people to your blog. Unfortunately, if your hook is good but too small, you will lose many fish. You can lure visitors in with posts on hot topics but you need to keep them on the hook with solid food: good related content. Understanding how people search, and how search engines help people find what they are searching, as well as helping them find your site, I covered extensively in “One Year Anniversary Review: Searching and Search Engines”. Another part of helping people find you is how and what you include in your site’s content. After all, they are searching for words, so shouldn’t the words you write help them search? I reviewed the web development tasks of writing with keywords in “One Year Anniversary Review: Keywords”, and then more on blog writing in “One Year Anniversary Review: Blog Writing”. More and more people are reading websites consistently through feeds. There has been a lot of website traffic lost from blogs which lack feeds, so part of your web development for today’s websites and blogs must include feeds, which I covered in “One Year Anniversary Review: What are Feeds?”. There are a lot of other tasks associated with web development including daily tasks to help maintain your site. These include checking traffic statistics, fixing broken links, updating articles and posts with new information, adding new features, checking comments, responding to contents, and more, all additional things to do outside of just writing on your blog or site. I covered a lot of these tasks in “One Year Anniversary Review: Blog Housekeeping and Maintenance”. Some blogs and sites start off commercial, some turn commercial over time. After all, you put all this hard work into it, it better pay for itself, right? Adding ads and working to turn a profit on your blog is very different from “just blogging”. It requires more work, more responsibilities, and a stronger and clearer plan of action than just “what am I going to write about”. If I am offering a good or a service to the public, then I feel perfectly justified in asking my customers for financial compensation for my labor. This is how capitalism works, correct? The customer and I agree upon a fair price for a given product, I deliver the product, the customer pays me, and then we both part ways with smiles on our faces. Done and done. Given the previous scenario, why would I, or should I, feel that it is right to ask the readers of my weblog to send me some of their own hard-earned money just because I think they think…what? That I’m a “good writer”? That I “speak the truth” in the ethereal “pages” of my blog? Or, most nebulously…”Just because”? His point was very clear. Making the decision to add ads to your blogs is important. It may help you make money, but it also sends a message. In all that time, even on commercial and retail websites, I can only remember clicking 5 ads. Of those 5, at least 3 were by accident, thinking it was a link leading to something non-commercial. There might have been more, but there were totally unconscious and unintentional clicks. Is this just me, or are the rest of you paranoid about clicking ads? Why do you click them? Is it because of the deal they are offering? Is it because you really need those ink cartridges or posters of naked girls? 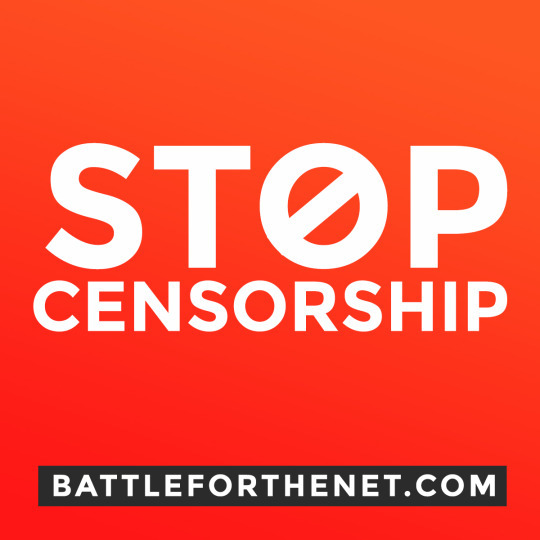 Or do you feel sorry for the poor sot hosting ads in order to pay for their blog? Do you click the ads knowing that this blogger might make .06 cents every time you click it? Do you feel like you are supporting the blog and the content by clicking ads? There is a lot of research into where to place ads on your blogs and how to get the maximum number of clicks, even by confusing people who can’t tell the difference between an ad and content so ad clicks are increased just by accident. There is a lot of research into what types of ads work best, testing words, layout, colors, and demographics. But how much work is really done exploring the truth about clicking ads? I’ll be covering web design and SEO in reviews coming in the next few days, but here are more of the articles I wrote about web development over the past year. Looking for a Great Domain Name? 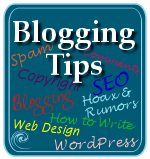 This entry was written by Lorelle VanFossen and posted on September 11, 2006 at 11:25 am and filed under blogging tips, Web Design, Web Wise, WordPress with tags design, site customization, Web Design, wordpress, WordPress Themes. Bookmark the permalink. Follow any comments here with the RSS feed for this post. Post a comment or leave a trackback: Trackback URL.